Showcase one of a kind industrial style with this round dining table. The solid wood table top has a multi-color look that is rustic and warm. 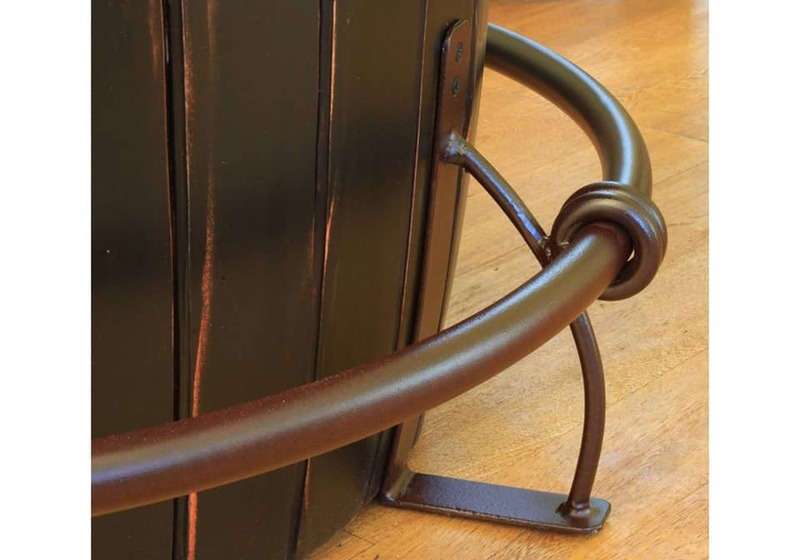 A unique barrel style base gives the table character, with an iron leg rest adding to the industrial appeal. 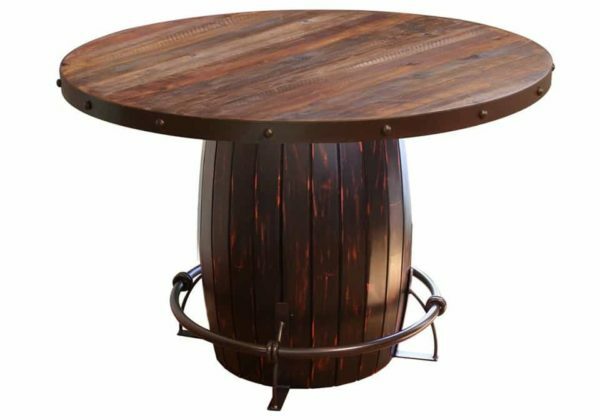 Whether for an urban loft or farmhouse style home, this round dining table highlights rustic industrial design for modern vintage style.